A social app for making music. You can browse other jams that have been uploaded or hit the "Jam!" tab to start a new one. Tap, swirl, or swipe in the blue square to make your own tiny performance! Afterwards, hit "play" to hear what you've created. There's 9 instruments to try! 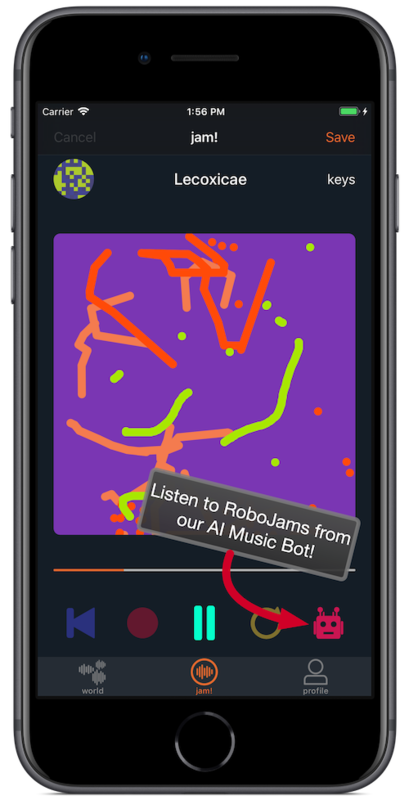 Use our AI Music Bot to make "RoboJam" layers top of your performance! Or reply to performances to build complex sounds! 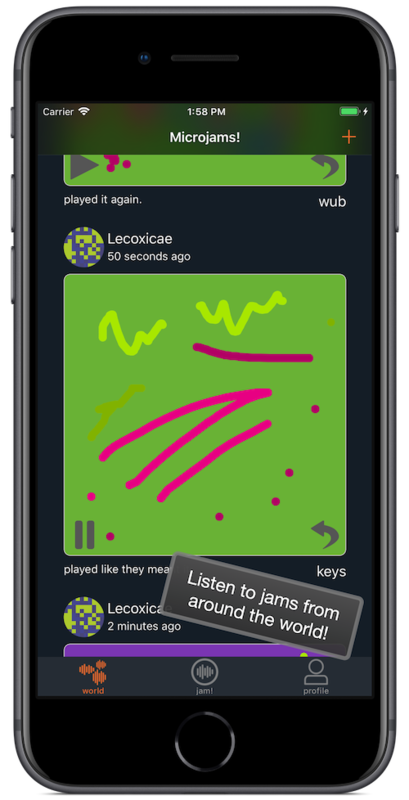 MicroJam is a mobile app for sharing tiny touch-screen performances. Mobile applications that streamline creativity and social interaction have enabled a very broad audience to develop their own creative practices. 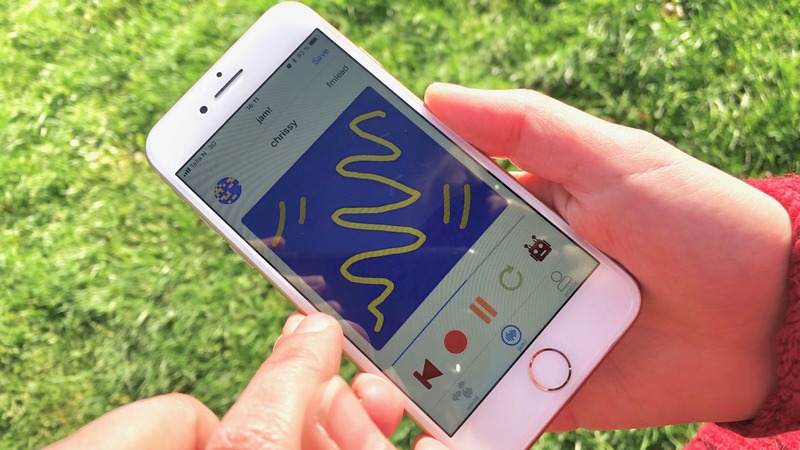 While these apps have been very successful in visual arts (particularly photography), the idea of social music-making has not had such a broad impact. MicroJam includes several novel performance concepts intended to engage the casual music maker and inspired by current trends in social creativity support tools. Touch-screen performances are limited to 5-seconds, instrument settings are posed as sonic "filters", and past performances are arranged as a timeline with replies and layers. 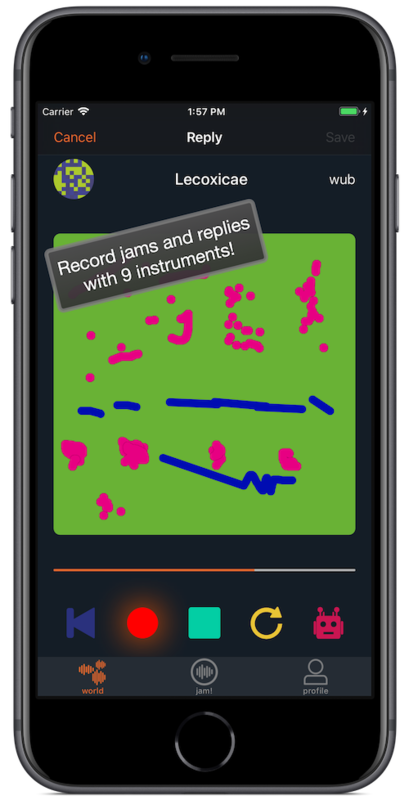 These features of MicroJam encourage users not only to perform music more frequently, but to engage with others in impromptu ensemble music making. v1.0.1 in the AppStore today! Today is a good day to launch! 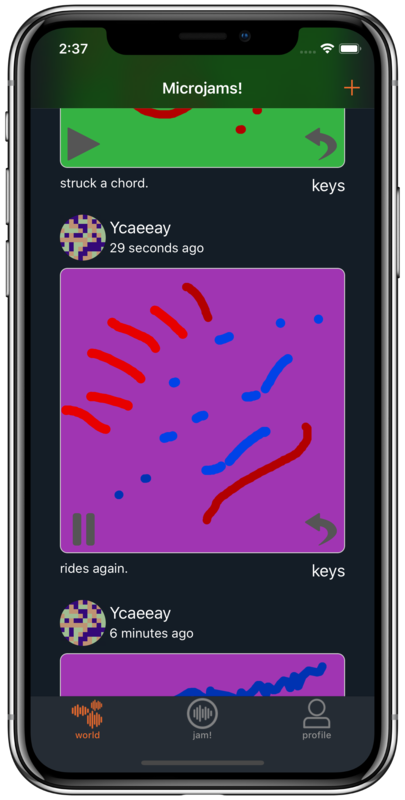 A social app for making music. Record short jams on the touch screen, share them with your friends, reply, and create ensemble performances. © Charles Martin 2018. All rights reserved. Part of EPEC, supported by The Research Council of Norway under grant agreement 240862.